Volume 4, Edition 32 Trouble loading? View this email online. 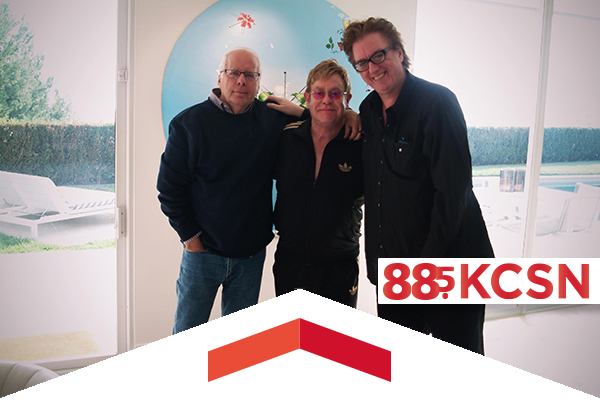 Sky Daniels (right, pictured here with Elton John and longtime Los Angeles Times rock critic and CSUN alum Robert Hilburn) has helped multiple radio stations reach national recognition, and in less than five years KCSN 88.5 FM has expanded its reach and is continuing to grow by continuing to showcase the talents of up-and-coming, local and established rock stars. From April 8 to 11, KCSN will hold its spring benefit drive so listeners can help support artists. 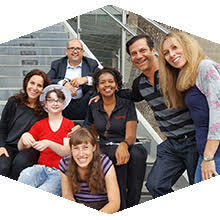 The Family Focus Resource Center at CSUN has entered into a contract valued at nearly $500,0000 with the North Los Angeles County Regional Center to create a Family Empowerment Team in Action that will help underserved populations access the regional center’s resources. Targeting first-time freshmen, the CSUN Michael D. Eisner College of Education joined forces this year with Ford Roosevelt and Project GRAD (Graduation Really Achieves Dreams) in an effort to increase graduation rates for CSU transfer students and first-time freshmen. Fri, April 7, 3 p.m. The Matador baseball and softball teams are looking to make some noise in their Big West Conference home openers. The softball team will face off against Hawaii and the baseball team will take the field against UC Santa Barbara. To celebrate, the 100 first fans at the baseball game will receive a free T-shirt and the first 50 fans at the softball game will receive a free hat. In the Heights tells the universal story of a vibrant community in New York’s Washington Heights neighborhood – a place where the coffee from the corner bodega is light and sweet, the windows are always open and the breeze carries the rhythm of three generations of music. This Tony-Award winning musical is directed by Kari Hayter, with music from Lin-Manuel Miranda. Thur, April 13, 8 p.m.
Grammy Award-winner and Johnny Carson’s Tonight Show band leader Doc Severinsen joined VPAC’s grand opening celebration in 2010. Now it’s VPAC’s turn to celebrate him. Join us for Doc’s 90th birthday. He’ll deliver a blast certain to blow out every candle on his cake. CSUN’s Student-Athlete Advisory Council is collecting clothing and food at 12 home games over the next two weeks as part of CSUN’s celebration of National Student-Athlete Week. The next chance will be on April 7 at 3 p.m. at the Matador baseball and softball games. Parents searching for innovative summer programs can now register their children for creative, fun and unforgettable learning experiences at CSUN. The CSUN Nursing Alumni Chapter invites you to its “Nurses Wellness Day” event at the Oasis Wellness Center. Guest speakers will talk to attendees about meditation, fitness, nutrition and more. Registration starts at 9:30 a.m.
Find out about CSUN students’ race to help villagers in Nepal, Earth Fair 2017 and much more in the latest edition of The Footprint. In this workshop designed for staff, we’ll discuss the factors that are, and are not used in determining the appropriate classification, the types of reviews conducted in the classification process, potential reclassification impact(s) and classification appeal process. If retirement is near the horizon, you’ll want to join us to discuss maximizing your Savings Plus deferrals in your last few years of employment, and the tax consequences of making withdrawals in retirement.